A crisis is averted by a bailout, but concerns about China’s trust sector mount. 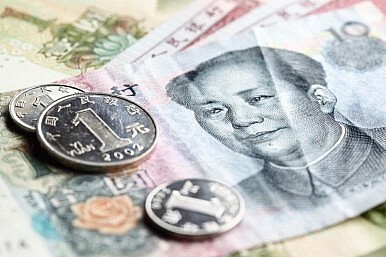 A wealth management product sold by the Industrial and Commercial Bank of China, which was based in part on a trust loan extended to a Shanxi coal company, was recently “saved” from collapse with a bailout of the 3 billion RMB ($495 million) principal. The product, called Credit Equals Gold No. 1, was rescued by an unnamed third party that offered to buy the rights in the asset. The loan was extended to Shanxi Zhenfu Energy Group in 2010, two years before the owner of the company was arrested for illegally accepting deposits. Zhenfu Energy was later found to have leveraged up in high interest underground loans of 2.9 billion RMB. What inferences can be drawn from this case? China Credit Trust is considered a more respectable trust, so if it lent to a corrupt institution like Zhenfu Energy without performing appropriate due diligence, imagine what a poorly regarded trust would do. Would anyone care to audit the balance sheet of Shanxi Trust Company, for example, and report on the riskiness of its lending record? What is more, if the failure of one trust loan can reduce a trust’s capital by so much that the trust will refuse to guarantee the product (even if it can), the likelihood of multiple trust loan failures would almost surely result in failure of the implicit guarantee associated with the trust industry and end in extensive loan defaults. A little publicized document called the “Trust Industry Risk Assessment Report,” released by Shanghai Jiaotong University, expands on these conclusions. After conducting stress tests on 60 trusts, the report found that solvency risk is relatively low, but that liquidity risk may present a real problem. The report also found that trust products are not priced for risk of the underlying asset. This, coupled with rapid expansion of the trust industry and with an implicit payment guarantee, has heightened the risks associated with trust products. The report does not mention the types of loans that trust products are based upon, and this is also a rising concern. Some of the trust loan defaults have been based on loans to the coal industry, which has declined in profitability. A full third of trust loans have been extended to the real estate or infrastructure construction industries, which have experienced price bubbles and low levels of occupancy. Growth in these sectors is expected to decline in 2014. With these reversals, the credit risk associated with trust loans will only rise. All of these risks in fundamentals add to growing concern about China’s trust sector. This, coupled with a lack of regulation, and absence of risk control departments in most trust firms, sets the stage for a potential trust industry failure. Such an event may be triggered by an overall reversal in consumer sentiment—should households stop buying trust and wealth management products that contain these trust loans, the maturity mismatch inherent in the trust lending process (borrow short from households and lend long to firms) may truly present a problem. A liquidity crisis in the trust sector will expose some of the risks that have been covered up by steady income streams, and then these unregulated entities may face a final collapse. Sara Hsu is an Assistant Professor at the State University of New York at New Paltz and has written extensively on Chinese informal finance and shadow banking.